The drop-down menu lets you select from four levels of heuristic sensitivity. The sensitivity determines how likely the scanner is to decide a file is malware based on its code. Create a Windows restore point before performing the scan - CCE will create a Windows restore point just before starting a scan. 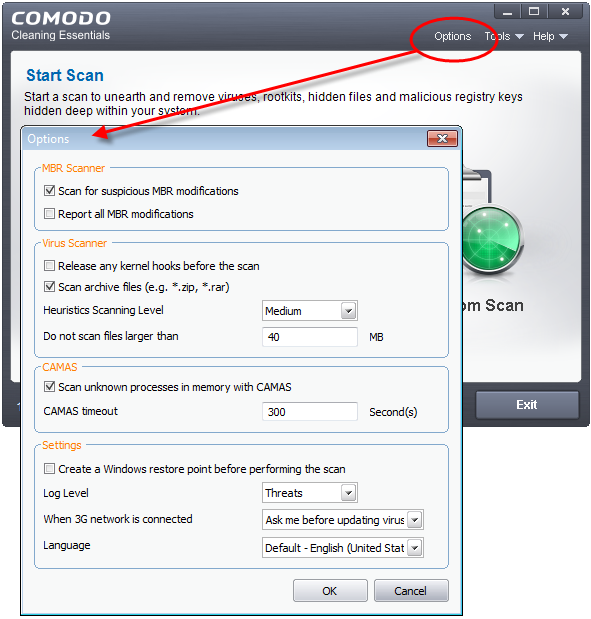 You can revert your system to this previous state if any problems occur after the scan.